Mrs. Bush loves teaching vocal music to the wonderful students of St. George. Here, she also prepares and directs an all-school Christmas program, a Grandparent's Day program, and student choirs at masses and other special occasions. She earned a Bachelor of Science degree in Music Ed. from Culver-Stockton College, a Masters of Music Ed. degree from the University of Missouri, St. Louis, and an Orff certification from Webster University. Previously, Mrs. Bush taught at Green Trails Elementary and St. Vincent's School. She loves singing and has sung in the St. Louis Symphony Chorus, the St. Louis Archdiocesan Choir, and currently sings with the East Central College Choir Association. 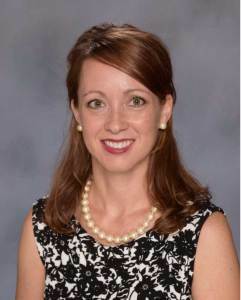 Mrs. Bush also has enjoyed 21 years of teaching individual piano and voice lessons. She has long been a church musician and a parish school of religion teacher. She adores the beauty of children's voices and believes everyone can benefit in countless ways from exploring and making music. Learning is life-long, fascinating, and fun! She resides near New Haven with her husband and three children.